LinkedIn is the biggest professional social network that connects professionals all over the world. Resume Writing Service claims that Executives from all Fortune 500 companies are LinkedIn members – the fact that makes you join this community for effective career development. “Expand Your Network” provides you with a chance to start inviting connections to join LinkedIn. A large network of connections means knowing the right people in the right places. HR professionals typically have the greatest number of contacts since having business contacts is their business! So make more friends in HR and your list will grow exponentially. Research available on LinkedIn companies: they provide information about new vacancies and training. Visit selected company’s profiles to be aware of all updating. Build a relationship with your network contacts. The wide net of professional friends can help your good standing and possible career advancement. Especially if you occupy with business or sales – in these spheres all your contacts can become your potential clients. LinkedIn is a social network available for professionals and for many people who want to share their thoughts and news about their business. But, what can LinkedIn job search do for people? LinkedIn users do not have the idea that they can use this social network to have the job they want. Read some tips to be sure you know about all benefits of using LinkedIn for job search. Check the jobs section. LinkedIn has a profile section wherein employers post vacancies about their company. All you need to do is to click the ‘jobs tab’ at the top of your homepage. After this, you can have the list of vacancies available. Complete your LinkedIn profile. 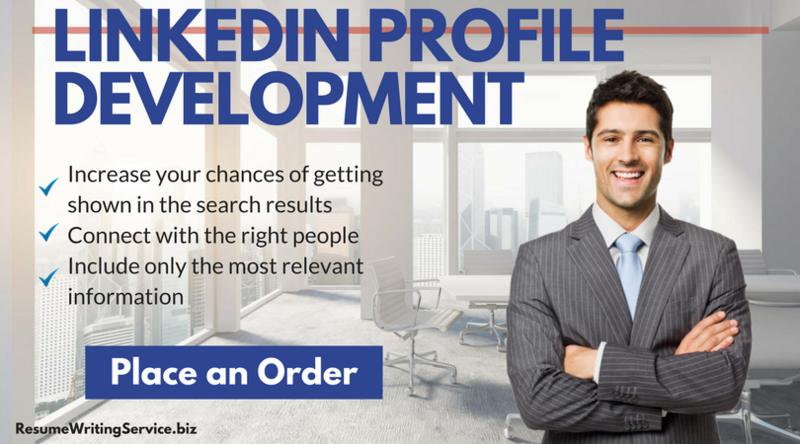 If you complete your profile, the more you increase your opportunity to have a job. You need to know that having a complete profile is more appealing because when employers look at your profile, they can find out much information about you because you give them an opinion about your skills, experience, education, and personal details. Join groups. You will get more traffic to your profile if you always get to interact with other people. One of the best ways to have more visibility is participating in discussions and to join groups. Joining groups can give you more chances to know many people who can be a help for you. With this, you can also ask for some advice about LinkedIn job search. Get connected. Using LinkedIn for job search is also about connections. In this case, you can invite people you know if you think they can be a help for you. One of the advantages of being connected to people is that you can message them for free. In order to have the job you looking for, be sure you know what you will do. However, if you do not have any idea on what will you do, then you do not need to worry because resume writing service can help you. In fact, this company is offering LinkedIn profile development. With them, you can be sure to improve your profile but make sure you also maintain your presence to increase more your visibility. LinkedIn is one of the most popular social media websites in the world as well as the most used when it comes to resume development. Job seekers use the site in order to gain exposure, network and land their dream jobs. To know of the latest LinkedIn profile development techniques you have to know, see the following information. The optimized profiles on the website can garner an average of five times more profile views as compared in the past. There are now 332 million people on the site. There are two new members on the platform joining every second. There are 187 million monthly unique visitors on the website. The site is used in more than 20 countries and territories and it is available in 20 languages. 40 percent of LinkedIn users check their profile daily. The average time spent on the site by every user is 17 minutes. It is estimated that about one billion endorsements in total are on LI currently. Male members make up 56 percent of LinkedIn’s user base, and female for 44 percent. 59 percent of the members have not worked at a firm or company with more 200 employees. If you do not know how to make a LinkedIn profile, follow our tips which can help you get hired! It has 17 million users in the United Kingdom. It has 10 million users in the Middle East. It has 61 million users in Asia. It has 28 million members in India. It has six million users in China. 39 million students and recent graduates are on the site. 300,000 long-form posts are added on LI every week. Users that post long-form content have an average of 1,049 connections. 13 percent of the users do not have a Facebook account; 83 percent do not have a Pinterest account; and 59 percent are not active on Twitter. Based on studies, 41 percent of US adults use the site daily, as compared to only 13% of online US adults using Instagram. If you believe your CV needs some boost, then feel free to use our resume writing service right now! Are you looking for an outstanding profile on LinkedIn for 2018? Use our professional LinkedIn profile development services and get 35% discount by using the code LIN2016 today!